Machu Picchu is a Historic and Natural Sanctuary, and is located in the department of Cusco, specifically in the Urubamba River valley, to 2,430 m.a.s.l. The Sacred City of Machu Picchu is one of the expressions most amazing engineering and architecture of the Inca civilization; built in perfect harmony with the landscape, surrounded by green mountains. The tour takes about three hours by marked and easily accessible trails. You can enter from 06:00 hrs. until 16:00 hrs. and can stay inside until 17:00 hrs. The Ticket Machu Picchu offers discounts that have to be processed in the offices of the Ministry of Culture of Cusco. We Ticket Machu Picchu as a travel agency, we have access and authorization to acquire Entrance Ticket to Machu Picchu, with differentiated rates. If you access this tariff, our agency carries out the procedure to validate the discount, just fill in the booking form and additionally send a copy of the identity documents that we request, to our email info@ticketmachupicchu.com. Review the cases where you can access a discount. Who accessing to the Ticket Machu Picchu discounts? People from countries belonging to the Andean Community (Ecuador, Colombia, Bolivia and Peru) have access to discounts on the purchase of tickets to Machu Picchu, in any version, with only send a copy of their identity card or passport. In the case of making the trip with children between 8 and 17 years, they can get a discount on the purchase of its Ticket Machu Picchu, in any of its versions. To access this document, you must send a copy of any document attesting the age of the child, either Identity Card or Passport. Minors belonging to the Andean Community (Colombia, Ecuador, Bolivia and Peru) also have access to the discount. Children under 0-7 years do NOT pay the entrance to Machu Picchu, which should be credited with the Identification Document of the child. The discount for Machu Picchu Tickets for foreign students, it is applied only to those students who have the International Student Identity Card ISIC. The International Student Card gives you a discount on the purchase of your ticket to Machu Picchu in all its types. To access this discount, please send us a scanned copy of your ISIC International Student Card. The ISIC card is the document that certifies students in schools, colleges (technical degree not less than 2 years), university undergraduate and graduate; this card is accepted in more than 120 countries. The ISIC card is a normal term of 16 months, but this can vary according to each country’s educational ordinances. Foreign students belonging to the Andean Community (Colombia, Ecuador, Bolivia) also enjoy this benefit, to get it you must to send a copy of the International Student Card ISIC. The Peruvian students also have access to a discount on the purchase of your ticket Machu Picchu, only presenting their DNI, next to the Student Card attesting that pursuing studies in universities and accredited institutes. For discounted rates, visit our section of Ticket Prices Machu Picchu. The requested documents are required exclusively for the purchase process in the Ministry of Culture of Cusco; therefore, these documents must be valid, and be current, at least until the date of admission to the Inca City of Machu Picchu. All children under 8 years are exempt from payment of Entry to Machu Picchu. However, they should enter accompanied by their parents and / or relatives, after identification in controlling entry to the Inca City, need not be registered in advance. So that, they can be carried smoothly under the responsibility of their parents. How to buy the Ticket to Machu Picchu with discount? Choose the Ticket Machu Picchu you want and check availability, for it must select the date you wish to visit the archaeological site. The number listed by date is the amount of space available, make sure that this number is not at zero. Availability Machu Picchu + Mountain – 07:00 to 08:00 horas – 400 people per day. Availability Machu Picchu + Mountain – 09:00 to 10:00 horas – 400 people per day. Availability Machu Picchu + Museum. Income subject to the Availability of Machu Picchu. Check the Prices and Applied Discounts, for a differentiated rate at Machu Picchu Ticket purchase of your choice. Proceed with your Booking; click book now and complete the form; remember that the information and documents that you provided are very important to purchase your ticket, so there should be no errors. Make payment; when book your Ticket to Machu Picchu, Paypal payment receipt is generated, this will be sent to the email address with which made the reservation. Remember that the reservation lasts only two hours, after this time you must pay. Once your reservation has been confirmed and processed, you will receive the eTicket in pdf version, to the mail address with which you made the reservation, so you can print them. This Ticket Machu Picchu printed must be submitted in controlling access to the City of Machu Picchu, along with personal documents presented for the booking with discount. Any change in the entrance to Machu Picchu is subject to the availability of existing spaces, and should be performed with the further in advance as possible before the date printed on the ticket income. 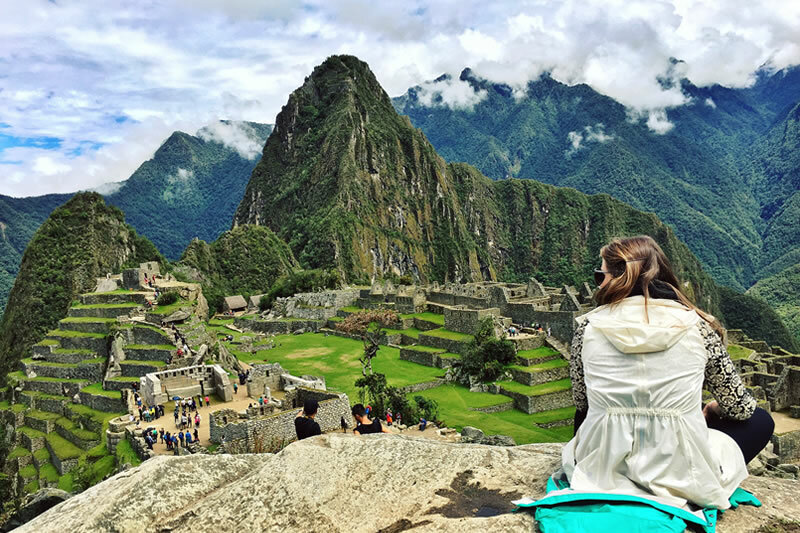 In addition, any change in your Ticket Machu Picchu, is subject to a penalty which varies according to the time when the application is filed. The Entrance Ticket to Machu Picchu is valid only once. In case you have not used the ticket there is no refund. PHONES: + 51 84 25 44 18 + 51 944 24 27 67 + 51 998 89 89 99.